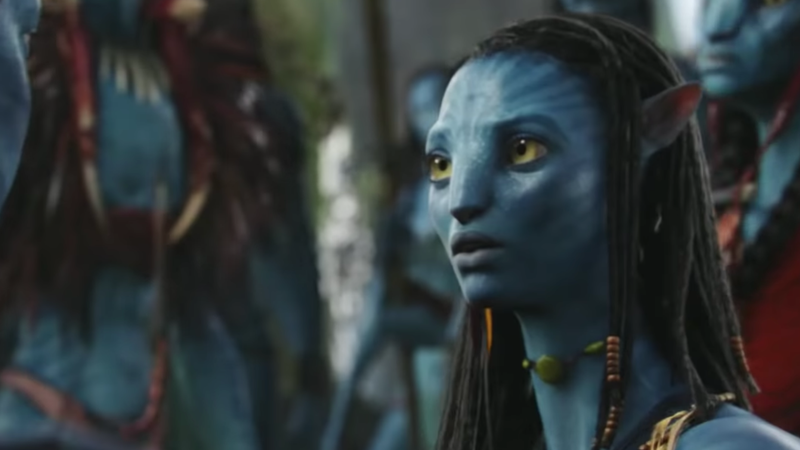 Despite the massive box office returns of recent Marvel movies and Star Wars installments, James Cameron’s Avatar remains the highest grossing film of all time by a significant margin. Released in 2009, Avatar captivated the nation with its impressive visuals, technical achievements, and big, blue cat people. In the decade since, however, moviegoers have hardly given the film a second thought. In a recent video, the Question Boyz from YouTube’s jacksfilms took to the Santa Monica Pier to ask passersby if they could simply name one character from the film, which grossed a whopping $2.7-billion. The results were pretty much what you’d expect. While most people had no problem recalling the names of some of the Avengers or at least one famous Jedi, when it came to recalling the iconic characters Jake Sully, Neytiri, and Dr. Grace Augustine, they were at a loss. “Is that the blue people?” one woman asks, getting about as close to a correct answer as anyone. The younger contestants had no trouble remembering the names of characters from Avatar: The Last Airbender, which we guess is good news for that franchise. In the end, only one man could name Sam Worthington’s character from the 2009 film, and he was wearing a large Hawaiian shirt and mirrored sunglasses, so, you know.